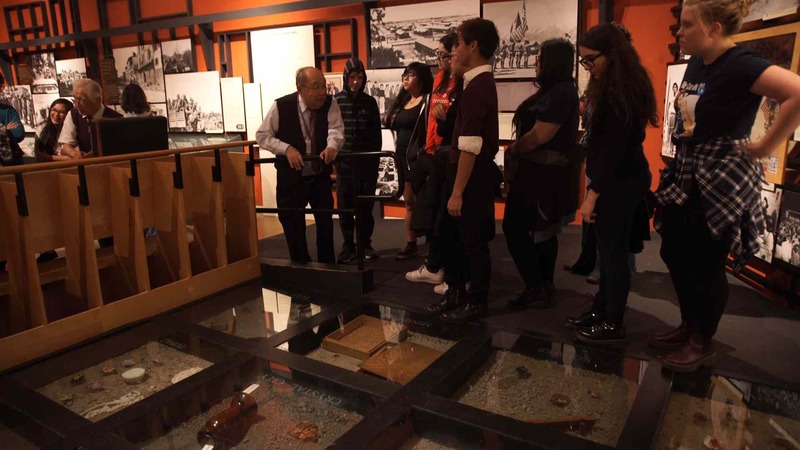 VAN NUYS — When a group of 85 choral students at Van Nuys High School began learning about the World War II Japanese American incarceration camps in September as part of the Los Angeles Master Chorale’s Voices Within Oratorio Project, the topic was a historical look back. The students will perform “In America” accompanied by eight members of the Los Angeles Master Chorale at Van Nuys High School, 6535 Cedros Ave. in Van Nuys, at a free community concert on Saturday, Feb. 18, at 2 p.m.
On Thursday, Feb. 16, they will premiere the piece in front of their fellow students at a full-school assembly. Sunday, Feb. 19, marks the 75th anniversary of President Franklin Roosevelt signing Executive Order 9066, which resulted in the forced removal and incarceration of around 120,000 Japanese Americans. The Japanese American community will hold Day of Remembrance events throughout the weekend. The performances of “In America” are the culmination of the Los Angeles Master Chorale’s 20-week Voices Within Oratorio Project program, which The sees three teaching artists – performer Alice Kirwan Murray, lyricist Doug Cooney, and composer David O – work with the students to write the libretto and create the melodies for each movement of the oratorio. The students, who range from 9th grade through 12th grade, are mentored by the artists on how to use musical techniques to capture the voice of the characters they create, propel the momentum of the plot, and paint the mood of the scene. After the oratorio has been written, the students audition for featured roles and are coached vocally to prepare for the performances. Eight Los Angeles Master Chorale singers perform the oratorio with the students, providing additional professional guidance. Each year, a historical event or epic life story is selected as the subject for the oratorio. This year’s topic was chosen in August and the students began the project in September. 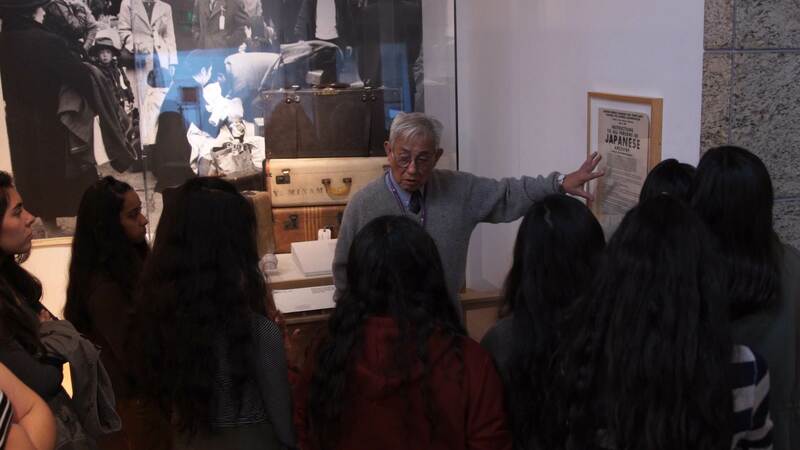 To further enhance their understanding of the camps and the impact of Executive Order 9066 on the Japanese American community, the students visited the Japanese American National Museum in downtown Los Angeles in November. 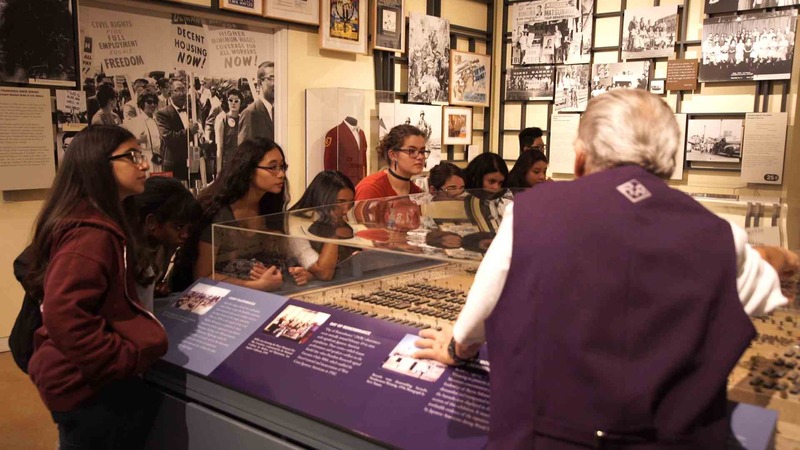 Many of the museum’s docents were incarcerated with their families and provided valuable first-hand accounts of the experience. JANM’s ongoing exhibit “Common Ground: The Heart of Community” documents 130 years of Japanese American immigration and history and includes a barrack from the Heart Mountain concentration camp in Wyoming. The Feb. 18 performance is free and open to the public. Members of the Japanese American community are encouraged to attend. The Los Angeles Master Chorale is widely recognized as one of the country’s leading professional choruses and one of Southern California’s most vibrant cultural treasures. Led by Artistic Director Grant Gershon and President/CEO Davidson, it is a founding resident company of The Music Center and the choir-in-residence at Walt Disney Concert Hall. Chorister positions are highly sought-after and the professional choir is a diverse and vocally dynamic group showcasing the many voices of L.A.
Presenting its own concert series each season, the Master Chorale performs choral music from the earliest writings to contemporary compositions, striking a balance between innovation and tradition. It also regularly performs with the Los Angeles Philharmonic at Disney Hall and the Hollywood Bowl. Praised for its definitive performances, the choir is committed to recording the choral repertoire and has also featured with Gershon on the soundtracks of many major motion pictures. It is further heard beyond the concert hall via broadcasts by Southern California’s Classical KUSC. Committed to community engagement and fostering music education in schools, the Master Chorale’s education programs include the annual High School Choir Festival, which brings around 1,000 teenagers from around the Southland to perform en masse in Walt Disney Concert Hall. For more information visit www.lamasterchorale.org.